Every weekday in August, Reston Now will be offering suggestions for a Summer Bucket List — things to do, places to check out and activities to try in and around Reston before summer’s end. 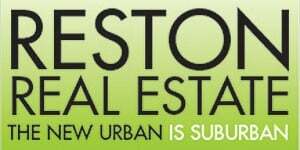 Obviously, different ideas will appeal to different residents in different age groups. But we are open for ideas. If you have any “must-dos” of summer (even better: with a photo of you/your family participating in said event), email us at [email protected] and we will consider it. The drive-in movie is mostly gone. But in its place we have movies under the stars. Outdoor movies have popped up all kinds of places in the D.C. area the last few years — from city rooftops to the national mall to public parks. In Reston, we have the Lake Anne Summer Film Festival, with monthly free screenings on Lake Anne Plaza. August’s movie, airing Sunday, Aug. 9 at dusk, is a classic: West Side Story. Come early to get a good seat. Bring a chair or blanket and a picnic. 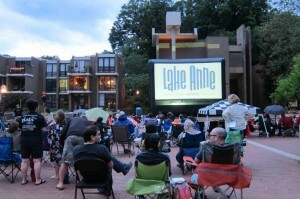 Lake Anne restaurants are also open for a before-movie meal or to get takeout. The festival will also show 1960’s Jazz on a Summer Day Aug. 30 in conjunction with the Lake Anne Jazz & Blues Festival.